There were plenty of years where I tried to make myself look different ("more acceptable") on social media. Even if the people scrolling through my feed couldn't tell, I knew. The question is, what's changed for me between now and then? I believe it was growth in a few key areas and the realization of some core things about myself. "Nothing holds you back more than your own insecurities." I've read this quote and resonated with it. Throughout my journey with anxiety, I've learned myself enough to know that I can feel others don't like me when the truth is that I don't like myself. It's a struggle that changes my level of self-appreciation to match my perception of the world. Have you ever been in a situation where you've had spinach in your teeth and you ran around asking everyone "Why didn't you tell me?" It's often because they didn't notice! The things we see as being glaringly obvious about ourselves aren't always noticeable by others. I won't lie to you, being a mom has thrown me into a battle with the monster of comparison. Motherhood is such a sensitive position. You are filled with so much love for your child, you only want to do what's best for them. It's easy to look at the "perfect mother" next to you and think that what you're doing is all wrong! Well, I've got news for you. The mom next to you isn't perfect either! She has hard days and sleepless nights, just like you do. She too is doing the best that she can, wanting to give her best to her child. We have to let go of the idea that Superwoman is real! I mean, we are super because we're moms and we love our kids! But none of us can do it all. The sooner we realize this the sooner we can stop thinking that other moms have something we don't. We can grasp that we're all human! Cut yourself a break, mama! Let me tell you a story. I am 27 years old and I still struggle with acne. I've had it since I was 12 years old. In college, I wouldn't even go to use my dorm restroom without putting on a full face of makeup. I struggled to look people in the eye, thinking that if "I couldn't see them, they couldn't see me;" a tactic to make myself less noticeable. It got so bad, that I began to feel like a prisoner in my own life. One day, I decided to change things. I didn't feel ready, I didn't feel brave, but I was fed up. So, I took my makeup off and went to the store. I cried in my car, I didn't look anybody in the eye, but I did it! Fast forward to today, I am free of that insecurity and often go out with a bare face! When I wear makeup, it's because I love it, not because I need it. I feel lighter! The process wasn't easy, but it was worth it. When you worry about what others will think, you give yourself the short end of the stick. You put yourself into a box and force yourself to live there. Being authentic is easier said than done, right? Many times, yes. Here are some tips to help you on your path to authenticity! Whatever is meaningful to you, share it! Who cares if it isn't perfect? Flaws and imperfections are endearing because they are a common thread among humanity! Your hair and house might be a mess, you may be off your goal list, maybe your face isn't made up. Life is for living, so post the picture or the status! You'll find that your authenticity resonates with people. Take a leap of faith! Don't overthink what you're sharing, just share! If you spend too much time analyzing everything that you post, you'll miss out on the genuine connections waiting to be made with others like you! Go ahead, share about the crazy day that you had with your kids. Millions of other moms have had a crazy day too and I'm sure they'd love to hear about it! At the end of the day, our culture puts a lot of glory and appreciation on the perception of perfection. And we often buy into it, it's hard not too. But it's important to remember that it's all an illusion. Pictures are Photoshopped and filtered, stats are altered, the story is twisted. It isn't real life and you don't have to compete with it. Perfection doesn't exist and there is someone out there who can identify with your story. What's unique and different about you? Those are the exact things you should share! Your value is in who you are. You are what makes you irreplaceable in this world! So go ahead and share you; authentically! Natalie is a mama to 2 sweet little girls. She is a great writer and photographer. 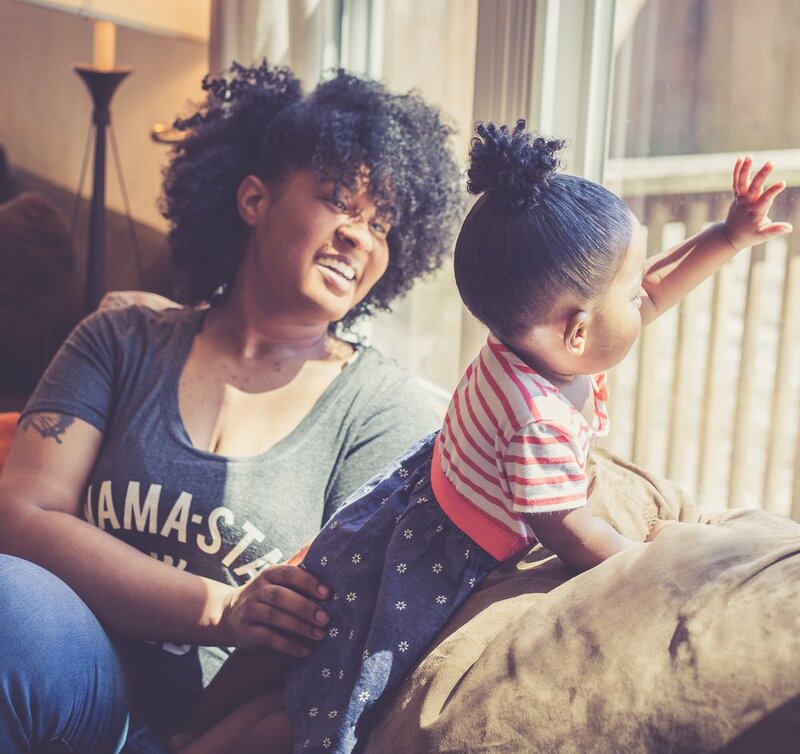 She has a website, aboutamama.com, where she shares the ups and downs of motherhood and so much more. Her desire is to create a safe place for herself and other women to explore the nooks and crannies of being a woman.